In this study, we propose a new distribution based on the inverted exponential distribution called as “Alpha Power Inverted Exponential” distribution. We provide some of its statistical properties including hazard rate function, quantile function, skewness, kurtosis, and order statistics. The maximum likelihood method is used to estimate the model parameters. We prove empirically the importance and flexibility of the new distribution in modeling with real data applications. Keller, A. Z., Kamath, A. R. R. and Perera, U. D., “Reliability analysis of CNC machine tools”, Reliability Engineering, 3(6): 449-473, (1982). Lin, C. T., Duran, B. S. and Lewis, T. O., “Inverted gamma as a life distribution”, Microelectronics Reliability, 29(4): 619-626, (1989). Oguntunde, P. E., Adejumo, A. and Owoloko, E. A., “On the Exponentiated Generalized Inverse Exponential Distribution”, World Congress on Engineering, London, 80-83, (2017). Singh, S. K., Singh, U. and Kumar, D., “Bayes estimators of the reliability function and parameter of inverted exponential distribution using informative and non-informative priors”, Journal of Statistical Computation and Simulation, 83(12): 2258-2269, (2013). Dey, S., “Inverted exponential distribution as a life distribution model from a Bayesian viewpoint”, Data Science Journal, 6: 107-113, (2007). Abouammoh, A. M. and Alshingiti, A. M., “Reliability estimation of generalized inverted exponential distribution”, Journal of Statistical Computation and Simulation, 79(11): 1301-1315, (2009). Oguntunde, P. E., Adejumo, A. and Balogun, O. S., “Statistical properties of the exponentiated generalized inverted exponential distribution”, Applied Mathematics, 4(2): 47-55, (2014). Singh, S. K., Singh, U. and Kumar, M., “Estimation of parameters of generalized inverted exponential distribution for progressive Type-II censored sample with binomial removals”, Journal of Probability and Statistics, Doi:10.1155/2013/183652, (2013). Oguntunde, P. E., Babatunde, O. S. and Ogunmola, A. O., “Theoretical analysis of the kumaraswamy-inverse exponential distribution”, International Journal of Statistics and Applications, 4(2): 113-116, (2014). Oguntunde, P. and Adejumo, O., “The transmuted inverse exponential distribution”, International Journal of Advanced Statistics and Probability, 3(1): 1-7, (2014). Oguntunde, P. E., “Generalısatıon of the Inverse Exponentıal Dıstrıbutıon: Statıstıcal Propertıes and Applıcatıons”, Phd. Thesis, Covenant University College of Science and Technology, Ota, Ogun State, 128-142 (2017). Mahdavi, A. and Kundu, D., “A new method for generating distributions with an application to exponential distribution”, Communications in Statistics - Theory and Methods, 46(13): 6543-6557, (2017). Lee, C., Famoye, F. and Alzaatreh, A. Y., “Methods for generating families of univariate continuous distributions in the recent decades”, Wiley Interdisciplinary Reviews: Computational Statistics, 5(3): 219-238, (2013). Dey, S., Alzaatreh, A., Zhang, C. and Kumar, D., “A new extension of generalized exponential distribution with application to Ozone data”, Ozone: Science & Engineering, 39(4): 273-285, (2017). Dey, S., Sharma, V. K. and Mesfioui, M., “A new extension of weibull distribution with application to lifetime data”, Annals of Data Science, 4(1): 31-61, (2017). Isik, H., Turfan, D. and Ozel, G., “The double truncated dagum distribution with applications”, International Journal of Mathematics and Statistics, 18(2): 61-78, (2017). Kenney, J. F., Mathematics of Statistics Part 1., Chapman & Hall, London, (1939). Moors, J. J. A., “A quantile alternative for kurtosis”, The Statistician, 37(1): 25-32. (1988). Shanker, R., Shukla, K. K. and Fesshaye, H., “On weighted lindley distribution and its applications to model lifetime data”, Jacobs Journal of Biostatistics, 1(1): 002, (2016). Shanker, R., Shukla, K. K. and Mishra, A., “A three-parameter weighted lindley distribution and its applications to model survival time”, Statistics, 18(2): 291-310, (2017). Singh, S. K., Singh, U., Yadav, A. and Viswkarma, P. K., “On the estimation of stress strength reliability parameter of inverted exponential distribution”, International Journal of Scientific World, 3(1): 98-112, (2015). Sharma, V. K., Singh, S. K., Singh, U. and Agiwal, V., “The inverse lindley distribution: A stress-strength reliability model”, arXiv: 1405.6268, (2014). Efron, B., “Logistic regression, survival analysis and the kaplan-meier curve”, Journal of the American Statistical Association, 83(402): 414-425, (1988). ISNAD ÜNAL, Ceren , ÇAKMAKYAPAN, Selen , ÖZEL, Gamze . "Alpha Power Inverted Exponential Distribution: Properties and Application". 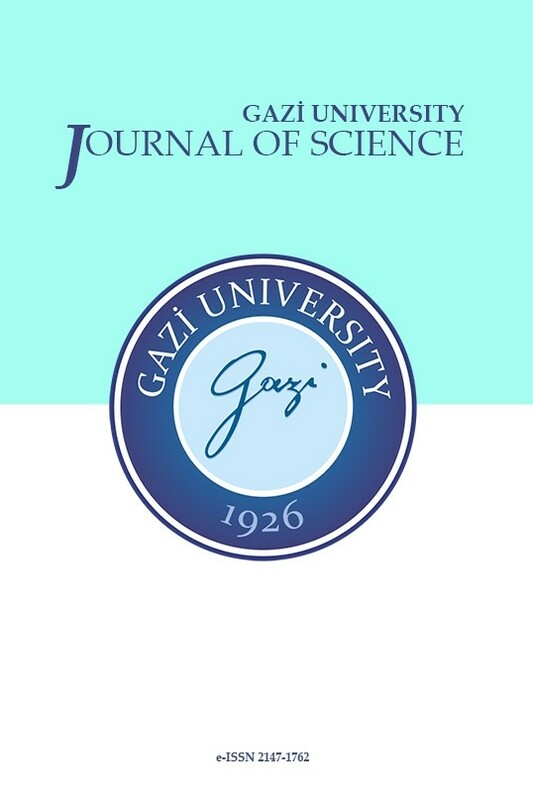 GAZI UNIVERSITY JOURNAL OF SCIENCE 31 / 3 (September 2018): 954-965.